2020 quilt show Stay Tuned! 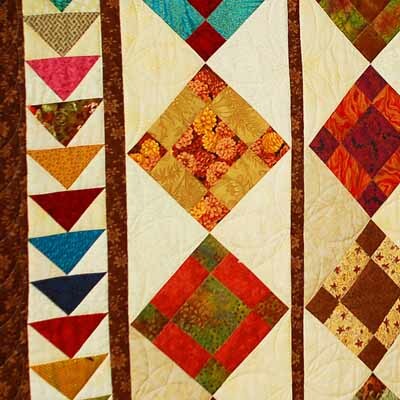 Dolores Mountain Quilters host a biennial quilt show on the even years. These shows are "open" shows. We encourage the general public to enjoy the displayed quilts, and to also enter their quilts for show. 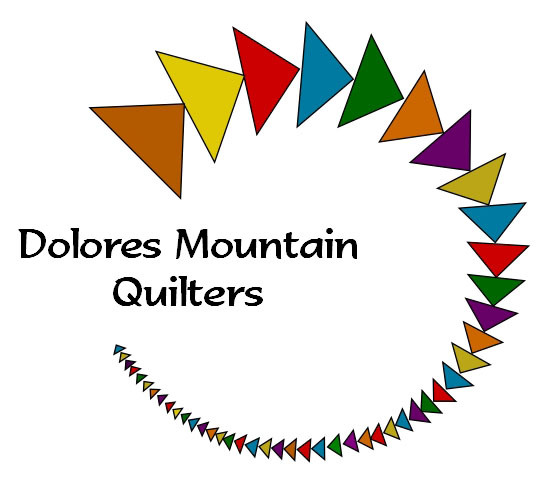 The 2020 Quilt Show will be held at the Dolores Community Center, 400 Riverside Ave, in downtown Dolores, CO. Admission is $3 (children 16 and under are free). Door prizes will be awarded during show hours. All guests will be offered a ballot to vote for their favorites in six categories: BED QUILT, WALL QUILT, ART QUILT, YOUTH QUILTER (18 yr old or under), MINIATURE (96" or less), OTHER (must be quilted) and BEST OF SHOW. All exhibitors must complete one registration form per item. Limit 5 entries per person. Forms must be received by August , 2020. Registrations after this date will be displayed on a first-come, space available basis. This custom quilt is: "". Tickets are $1 each or 6 for $5. and are available from Deanna T. 970-882-7910, Guild members, at Ponderosa Restuarant in Dolores and at the Show. Winner need not be present to win. The DMQ quilters have been working overtime to stock our fundraising boutique with hundreds of hand-made items for you and for gifts. Area quilt stores & vendors will also have a wide variety of kits, books, supplies and fabrics for sale. We will also have a special area to purchase offered quilts.